The concept of “going green” is all the rage today with fuel-efficient cars, LED light bulbs and water-saving xeriscaping. 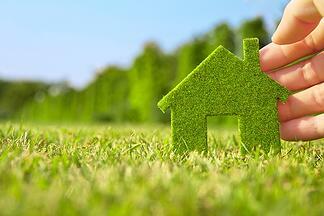 Have you thought about how your garage can be more eco-friendly? If your goal is to protect your family from exposure to chemicals and promote a cleaner environment, epoxy floor coating is worth looking into. 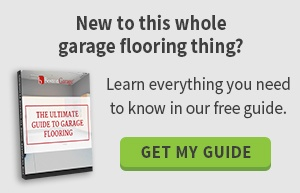 First consider the benefits of epoxy flooring compared to leaving your garage floor bare. Then, consider reasons to choose epoxy over other inferior garage flooring. Concrete is a very porous surface. That’s why ordinary garage floors are often tainted with oil, gasoline and dirt stains. However, epoxy offers a non-porous garage flooring to protect against such saturation. This creates a safer, cleaner space for your family to spend time. It also makes the garage look much more professional and aesthetically pleasing. VOCs, or volatile organic compounds, are harmful gases emitted from certain materials, including common household products. You may not know it, but your furniture, carpeting, craft materials, cleaning supplies and cosmetic products could be emitting gases into your home, polluting the air and potentially causing negative health effects. Many VOCs produce odors, such as those given off by paint, pesticides and permanent markers. Others have no scent at all. Addressing this environmental problem in your home is quite the task, but rest assured epoxy floor coating has very low VOC content. The material is considered “green” garage flooring, which means it doesn’t harm the environment or give off unpleasant odors. Unlike other garage floor coatings, epoxy floors are protected against ultraviolet light, which prevents the material from oxidizing. This accomplishes two things. First, it helps the floor’s color remain in good condition for years to come without yellowing. Second, UV protection prevents the epoxy from oxidizing. Oxidation manifests itself differently depending on the material. Apples turn brown. Copper turns green. Iron rusts. When epoxy oxidizes, it releases harmful chemicals into the air. 100% UV protection stops this process in its tracks to keep the air in your garage fresh and breathable. Epoxy is the ideal garage flooring if your goal is to go green for your family’s health and a cleaner environment. If you’re excited about the opportunity to give your garage new life with an epoxy floor coating, please schedule a free on-site design consultation with Boston Garage. We’re Boston’s leader in garage flooring and storage cabinets.